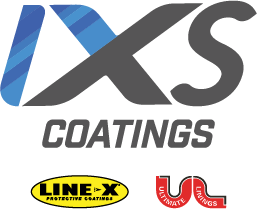 LINE-X and Ultimate Linings have united as IXS Coatings to provide complete coatings solutions and superior product support. With 500+ store locations and more than 25 years of experience, LINE-X has become the standard-bearer in automotive aftermarket and protective coatings. Ultimate Linings spent three decades growing into the coatings industry leader for robotic, industrial, oil and gas, and manufacturing solutions. IXS Coatings brings together two coatings industry heavyweights — Line-X and Ultimate Linings — to provide the most complete range of cost-effective, spray-on industrial and manufacturing polyurea coating solutions. With more than 55 years of combined experience, IXS Coatings is your complete polyurea protective coatings provider. Whatever industry you are in, IXS Coatings can help you protect your equipment.